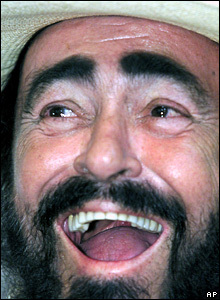 The famed opera singer Luciano Pavarotti has died of pancreatic cancer at the age of 71. 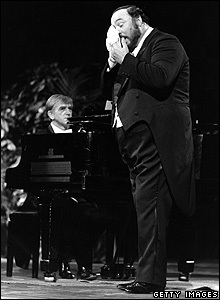 He was regarded by many as the greatest tenor of his generation. 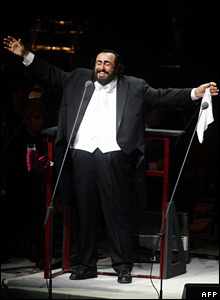 Pavarotti performed with some of the world's greatest opera singers. 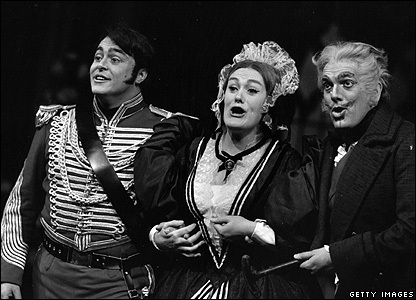 In 1966 he sang with Australian soprano Joan Sutherland and Spiro Malas in Donizetti's La Fille du Regiment. In 1990 he achieved pop star status with Nessun Dorma, an aria from Puccini's Turandot, which became the theme song for the World Cup held in Italy. 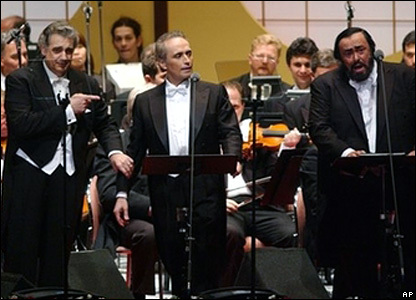 The singer, on the right, found worldwide fame and commercial success when he teamed up with Placido Domingo and Jose Carreras to form The Three Tenors. Pavarotti was a close friend of Princess Diana, and even attended her funeral in September 1997. 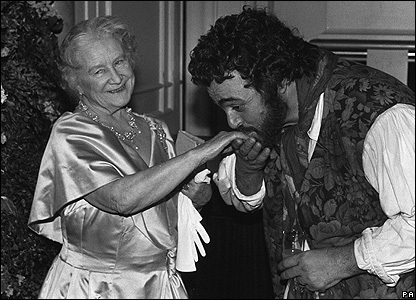 Pavarotti greeted the Queen Mother following a gala performance of L'Elisir D'Amore at the Royal Opera House, in 1990. 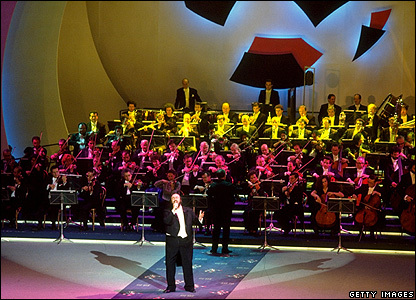 He brought new audiences to opera and performed with many pop stars, such as singer Mariah Carey. He married his second wife, Nicoletta, in a star-studded ceremony in 2003, almost a year after the birth of their daughter, Alice. His manager said he remained positive throughout his illness, until finally succumbing at his home in Modena, Italy. 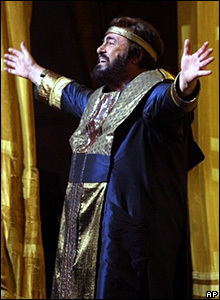 The Royal Opera House said Pavarotti's legacy would be that he brought opera to millions of people who may never have come across it otherwise.